Part One of an interview with Audrey Weisiger, Olympic-level coach (most notably of Michael Weiss and Tim Goebel), and creator of both Grassroots to Champions and the Young Artists Showcase. In Part One we discuss her background in skating, how she became a top level coach, what it was like working with Michael Weiss through his entire career, and Timothy Goebel at the end of his career. She also talks about her philosophy of coaching. 57 minutes, 33 seconds. On her most embarrassing skating-related moment: Without question, when I was a second-year junior lady at Nationals. I was competing my program and I fell on a jump, hit my head on the barrier, and knocked my contact lens out. I wore hard lenses, and I really couldn’t see with one lens in and one lens out. It was so disorientating that I couldn’t continue. So I’m out there looking for my contact lens, humiliated, just humiliated. And I came off the ice, of course, and had to start the program where I left off and finish it. I don’t even remember doing the rest of the program, but what I do remember is coming off the ice just completely humiliated and distraught. And my coach gave me a hug, and Sonya Dunfield came over to me and gave me a huge hug, and said, you know what? It was an accident. You’re a great skater. So from that moment I understood that when some kid’s having a totally horrific moment embarrassing themselves, which we all have — Sonya wasn’t my coach, she was coaching one of my competitors, but she had so much compassion and empathy. That was a powerful lesson for me, and I never forgot that. And hopefully somebody will learn from that one, because it wasn’t fun [laughs]. On starting skating: My father grew up in Europe. I’m Chinese by background, but I’m one of those American Chinese that don’t speak very fluent Mandarin. My grandfather was an ambassador from China to several European nations, and my whole family were outdoor winter sports buffs. So my dad skated and skied. He was like Hans Brinker when they lived in Holland, he would put his skates on in the morning and skate to school. So when we were growing up and we lived in Washington DC, it was an annual holiday thing for the entire family to go to this tiny outdoor ice skating rink. I just fell in love with it. I wasn’t very good at it, I wasn’t a talented skater, but I think I was taught to become a good skater. There was something so challenging about it that I was drawn to it, and I loved the musicality of it. I would say I was an artistic skater. If people are old enough to remember seeing me [laughs] I skated kind of a groundbreaking program to Madame Butterfly in 1969. It was one of those moments that was unexpected, I was a first-year junior lady and I was only 14. That may seem old by today’s standards, but back in the day you had to do your figures first, so it was pretty unusual to have young kids get through all eight figure tests and get into senior before they were 15 or 16 years old. So I was the new kid on the block, and my coach, Jerry Renault, choreographed this fantastic, beautiful, sensitive piece for me that got me a standing ovation at Nationals in 1969. I think I’m remembered for that moment because people were not expecting this young girl to come out and do that. I wasn’t really good at triples. When my students ask me what triples I could do, it’s like — none [laughs]. I probably landed a salchow or a toe loop back in the day but I never did it in competition. That wasn’t considered the norm when I was competing. We did doubles and we didn’t even do that many combinations. It was really about the performance, and it was about creating a moment, and that’s something I still work toward with my skaters, no matter what tricks they’re doing. You’ve got to create a moment for people. On Jerry Renault as a coach: He was a line captain with Ice Capades, and he always talked about Phil Romayne and Cathy Steele as his mentors. He was a self-taught skater who made it into Capades. He coached me at a tiny studio rink in Falls Church, Virginia, called the Village House. Jerry had an artistic eye and an ability to make performances. I was looking through a scrapbook we have, he had several good skaters that were at sectional and national level. He’s probably the reason why Young Artists Showcase came about for me, because I always had so much love for making a story on the ice and skating to the music. He was adamant that I become an artist, and I was kind of self-conscious as a teenager, and I really didn’t want to do the program. I did a tribute to Jerry when he passed on, and I told a story about the two of us going at it when he was working on this Madame Butterfly program, because I was really too immature to appreciate it, and the other kids in the rink were going, gosh, look at her, she’s doing this stuff, she’s waving her arms around. And I was creating art, but it didn’t really feel like it, I was just self-conscious. It was an epic summer [laughs]. He refused to give up, but I sometimes relate his dedication to Annie Sullivan in The Miracle Worker, where she would drag Helen Keller by the hair and make her have correct table manners and to understand sign language, and finally something clicked. And that happened for me with him. Had he been less determined, I never would have evolved. I would have gone off and just been like everybody else. So I always thank him for that. He became a coach in Delaware for a while, and if you talk to Pam Gregory, Ron Ludington, Jeff DiGregorio, they will all speak very highly of him. I tell my students now, I wish I had been more open to that program, but maybe because I wasn’t, when I finally got it, it was stunning. Every time I performed that program, I got standing ovations, and that wasn’t the norm in the 1960s. On ladies’ skating when she was competing: Peggy Fleming was my idol. I remember watching her in the 1968 Olympics, in Chamonix, in that chartreuse-colored dress that her mom made. I always said I wanted to skate like her, but I didn’t. I was very awkward. I took a lot of ballet and I eventually became more artistic. And Janet Lynn, she’s my favorite female skater of all time in terms of the way she would perform. She literally glowed on the ice, it’s hard to describe, but when you saw her live, she radiated. You don’t see that any more, which is sad for me. She could just be doing forward stroking and you would almost stop and hold your breath, because it was effortless. Dorothy [Hamill] and I actually competed for a couple of years in the beginning, I think I might have been a little ahead of her, and then she became just unbelievable and went on to win the Olympics. So that’s my generation, the Dorothy Hamill generation. I think there was an athleticism in Dorothy that was a little different from Peggy and Janet, but she definitely still had that charisma that was undeniable. And we’re searching for another ice princess like these ladies. 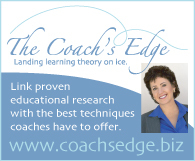 On starting coaching: When I was 17, I graduated from Cheyenne High School in Colorado Springs and immediately applied for a position for the Fairfax Ice Arena, which was under construction at the time. My future mother-in-law, Eileen Weisiger, interviewed me, and there were four coaches hired at the time: myself, Bob and Joan Ogilvie, and Renata Gilroy. Fred Jahnke came along later on, but we basically started the rink when it opened. And there wasn’t a skating community in Washington DC at that point. I think I was the last Washington Figure Skating Club member to compete at the national level until one of my own students that I helped develop, Lily Lee, went back. Another student that I coached, Darin Hosier, was at a different club, but he was a medalist at the national level. So there was a period where the Washington area did not have a full training facility with an indoor rink. So Fairfax was one of the first indoor rinks in the Virginia area, and that’s where I met my husband. So it’s all good [laughs]. I’m originally from Bethesda, and I was brought home to go to college. I went to George Washington University in DC. In my mind, skating was something I really wanted to do, but in my parents’ mind, it was just something I could do to entertain myself while I was getting my degree. So we had a lot of compromising going on. I never thought I was going to teach skating – skating was what I wanted to do, but my father basically said, listen, you cannot have a career in ice skating. In his head, that wasn’t what I was supposed to be doing. All of my relatives are doctors, lawyers, Indian chiefs, and one of my cousins is literally a rocket scientist, looking for black holes in outer space. So in terms of my family resume – my business manager, Sheila Thelen, likes to laugh because I say this all the time – I’m the least accomplished person in my family. They’re all highly educated, like they all have their Ph.D.s and are prize-winning, and someone coaching a sport was not really in the wheelhouse for our family. My grandfather was an ambassador, so I could have gone into international politics. My dad was the budget planning director for the International Monetary Fund and my mother went to the Peabody Institute of Music and graduated with Leonard Bernstein. So as I said, I’m the least accomplished. I’m sure my parents thought, yes, this is just a phase, she’s spent all these years skating and she wants to keep doing it. And I was making some money for the first time in my life. But I was going to school full-time. I got my degree in broadcast communication. I had a very good television and radio director, Dr. Thiel, who just didn’t get it when I told her, I’m going to a competition with some students of mine and it’s the national championships, so I’m not going to be in class, and she would say, yeah, you’re getting an F [laughs]. In my head, what I really wanted to do was choreograph programs, so it’s ironic that I was such a pill to teach myself. But I think I truly became a lover of artistic skating, and I wanted to impart that to my students. So in my mind I was just going to choreograph programs, and that would fulfill my passion for skating and I could have another career. But then I started doing programs for kids and I realized, you can’t do anything I want you to do, this isn’t going to work. So I actually started teaching them, and I realized, oh, I also can teach. So I was becoming more of a technical coach at that point. On the type of coach she is: I would like to think that I apply some of what I would call academic learning. I’m not just a monkey-see, monkey-do kind of teacher, I explain things to the kids in the language of skating. To me, we’re not only teaching these children how to skate for themselves, we’re also educating them so they can coach in the future. So when I explain steps, I say, it’s a right forward outside three turn, followed by a cross in front, left backward outside edge — I use the language that we would have done with figures. Because I feel that if we don’t do that, our sport is lost. So I’m begging this next generation of coaches to please teach the language of skating. I know we have moves in the field, but I don’t think that’s what the kids need to learn if they’re going to be viable coaches someday. We do a lot of classroom learning in my seminars, and the Grassroots to Champions summer camp probably has as much off-ice education as it does on-ice. Because I think if you train the mind, the body will follow. In the end, if the kids understand their sport, they have a better chance of performing it, and if they can’t perform it, then they can at least pass the sport along to other people. But if you don’t understand it and you don’t have a vision for what you’re trying to create, you can’t make it. There is a mental aspect to it, and I think a lot of times that’s overlooked, I think kids just want to do. They don’t want to listen to the language of skating, so we make a game out of it. You know Twister? It’s a version of that, on the floor. I say, if you do a right forward outside three turn, what direction would you turn. It’s fun, but I think hopefully the kids come out of it understanding this is what we do on the ice. And people learn differently. Some kids, I have to write everything out for them, that’s how they learn. Other kids are visual learners, so they have to study video before they can envision themselves doing it. And then there are the natural ones who don’t need to see it or read it before they can do it. But I don’t know how many of those I’ve come across. On coaching Michael Weiss: There’s a famous incident with Tamara Moskvina when she came to Washington to do a seminar, and I said, psst, Tamara, take a look at this guy, he’s the one that I’m working with the most and the one that I think I can do something with. And then years later she told my colleague Nick Perna, I thought Audrey was wasting her time with this one because he wasn’t very good [laughs]. The Russian coaches get to pick their talent, but we get whoever we get. Michael was always a good athlete, he was interested in competing and he loved to win. But he wasn’t a good skater in the beginning. There was a competitor who skated with Mike for a number of years, and he said to me recently as an adult, you know, I used to beat Mike all the time, how did this happen where he became a really good skater [laughs]. And I said, he stuck it out. My greatest feat with him was figuring out what motivated him to make himself better. I taught him the same way I taught everyone, in terms of development and artistry and technique, but it didn’t really click until he realized that he was getting recognition, that he was the big man on campus with the girls. I think it was at Skate Wilmington in Delaware, he had a great skate and landed his first triple lutz ever, and you could see the light go on in his head because he was surrounded by adoring girls after that. But it dawned on me, if I can just have him constantly having somebody who he might be even slightly interested to perform for, maybe this will make him better [laughs]. He liked to compete, he liked to win, and he began to realize that he could make a paycheck. Back then there was a really substantial financial reward for placing, even at the junior level, when Michael was doing Grand Prix events. And this was in the heyday with Michelle [Kwan] and Tara [Lipinski], post-Tonya [Harding] and Nancy [Kerrigan], and those kids in Champions on Ice were pulling in the paychecks, and they were sought after. We had to start saying no to things, it was just craziness. And Tom Collins, bless his heart, he just spoiled those kids rotten. They stayed in the nicest hotels, and they were playing golf. With developing my crew at Fairfax, it kind of became a family. I still talk to Doug Webster and Darin Hosier on a weekly basis. I talked to Lily Lee just the other day. Those kids, they wanted to be good, and they wanted to be together. That was very powerful. And I think they pushed each other in an encouraging way, not in a negative way. They would applaud each other when someone accomplished something, but there was always that competitiveness, particularly with the boys. And yet they were great friends. On starting coaching at a young age: I tried to make myself seem older to the parents, because a lot of the skating mamas didn’t want to know that I was 18 or 19 years old. And sometimes — you don’t want to necessarily deceive people, but if they didn’t ask, I didn’t tell. And I think some of them thought I had another part-time job because they’d see me dress and rush out the door after the morning session. Well, I was going to college. But I laugh about it because when I was a young coach going to competitions, and I’m exaggerating, I dressed like I was 45 years old. I wore business power suits — Nick Perna teased me, he said, you look like Donald Trump, what are you doing [laughs]. But I was making an effort to appear older and more professional. My early students were Doug and Darin and Lily, and a wonderful skater named Tina McPherson, but there were other skaters that you might not have heard of but who still have a lot of influence in the skating scene, like Jaya Kanal and Sharon Brusie. And I like to think that a lot of kids from that generation, I gave them the passion. You can’t teach skating unless you love skating. There are a lot of things you could be doing that are a lot easier and less frustrating than coaching. So I’m very proud that I have several generations of kids who still love skating, regardless of how far they got competitively themselves. That doesn’t matter to me. By the time Mike came along, I was considered one of the more established coaches, but I was still young, I wasn’t even 30, and my daughter was born around the same time I started teaching Mike. And I never thought in my wildest dreams that we would have such a full and lengthy career, because he used to hit his head a lot when he skated [laughs]. He was not one of those kids you would stare at in a session and go, who is that kid, he’s going to be the next rock star. It took him a long time to be able to do a clean double jump. His sense of being able to get the jumps down took a while. A lot of people compared his skating with Jeremy [Abbott], but they’re completely different skaters. I don’t think Michael started looking like a better skater until he made it past novice, and he was short for a long time. I have videos of him when he was 10 or 12 and he was still very tiny. He was in novice for a long time, but he was very good at figures. Figures were on their way out at that time, so we were like, hurry up so at least you can say you got the tests. I think at one nationals he competed in senior men’s figures and then had to run off to compete in novice freeskate, it was pretty funny. He’s one of the few people who can say he medaled in both disciplines but at different levels. And I think he’s had a huge impact on male skating, so I’m very proud of that. If you’ve ever seen his performance when he won Junior Worlds in 1993, that was one of my happiest moments. We’d had a very challenging season. I broke my arm and a couple of days later we had to fly to Colorado Springs for the junior worlds team trial, and he was struggling to get a triple axel in competition. And the day of the short program, he was the only one who was planning to do the triple axel in the program. All of the US officials were saying, he doesn’t need to do it, he can win without it. And I was saying, he can do this and he wants to do it, so he should do it. And he was the last skater of 24 to go out, and in my mind I’m saying, you’re either going to be a hero, or you’re going to be the worst coach in the world. And I was ready for either, because I knew if he hit it, he’s the star and I’m the hero, and if he missed it, I’m a stupid coach. And he nailed it, and it was really fun, and he ended up winning. But as a coach, I understood that it’s not just about the one moment, although it feels like that. It was about the development of the skater, and it was more important to me to push him and keep developing him, instead of holding him back so he could win. Now I wanted him to win, don’t get me wrong, but I didn’t want to undermine his potential. And to me, that’s what sports are supposed to do, to help people find their potential. Just because someone’s running a four minute mile, for example, and you realize you can run a three and a half minute mile and no one else can come close to that — why wouldn’t you still run that three and a half minute mile? You’re supposed to be pushing yourself to your own personal human limits. The same thing with the quad lutz in Philadelphia in 1998. He had an Olympic berth at stake that did. If he had missed the quad lutz and then fallen apart all over the ice, he would not have made the Olympic team. And yet I knew he could do it, he knew he could do it, so why not do it? If you’re going to the Olympics, then be the Olympian you’re supposed to be. But now I don’t feel that’s what happening as much. I think every kid who walks out on the ice should have the attitude of, I’m going to do everything I humanly can to be the best athlete that I can in this moment, and not worry about what other people can do. It’s not about other people. It’s about that person, it’s about you. On coaching an Olympic skater: It was a realization of something that I thought was happening. Mike made Worlds the year before, and I thought, yep, we’re on target, let’s keep going. It’s cute, my parents have every clipping and every scoresheet, even from when I skated myself. So I want to make sure people understand that my parents were extremely supportive, and extremely supportive of me for my accomplishments. They didn’t diminish the skating, they just thought, it’s a hobby, it’s not a profession. And they have great admiration. They love the coaches that are in skating, but it just didn’t seem to be something that I would be doing. And being an Olympic coach, it’s something that you sense is coming. Mitch Moyer and I had a conversation when his team made it, and he said, you know, it felt like you graduate, you’re in the class of whatever. So I’m in the Olympic class of 1992. And there’s a great picture of me when I step off the train in Nagano, it’s my favorite picture, I use it at some of my coaching seminars and call it “Dream Big”. There’s this big smile on my face and you can see the Olympic flag in front of me. But it’s that realization that you’ve accomplished something, and a lot of people strive for it and don’t quite get there. That doesn’t mean they didn’t belong, it’s just a timing thing a lot of the time. So I think at least I had enough insight to realize that it could have gone either way, and no matter what happened, I would remember that for the rest of my life – that this was fun. It was something I wished for and it happened, and sometimes you wish for things and they don’t happen. And when kids say to me, I want to go to the Olympics, I never say to them, hmm, really? Because you just don’t know who’s going to step it up in ways unforeseen. My piano teacher when I was in elementary school, she reminded me, you probably don’t remember but when you started skating, you said to me that you wanted to go to the Olympics someday. And I went — as a coach. I didn’t make it as an athlete. I competed all the levels and I think I was top 10 in senior ladies, but I didn’t get there as a skater. I got there as a coach. And there was something very full-circle when she came up to me after I qualified as a coach, and said to me, this is probably what you were meant to do. You didn’t mean it that way at the time. So I love that she remembered that. And sometimes kids do make it. There’s a video of Sarah Hughes at age six or seven, saying, I’m going to go to the Olympics someday. And bang, not only does she go, but she wins. I really think that every kid that has that feeling. It maybe isn’t at the Olympics, but sometimes as coaches we’ll say, that was a positively Olympic performance. And it’s the same feeling, when you have some magical moment and there’s a powerful human connection between you and the audience and the ice and everything, and the entire experience comes together. Like they say, the stars and the moon align to make this magic. And it can be at ISI Worlds for somebody, it can be at Adult Sectionals. If you step off the ice and you feel that you’ve delivered your quote unquote Olympic performance, you will get the same feeling of success. It can be Michelle Kwan standing on the podium or it can be at the ISI competition we have at Fairfax. I see these kids come off the ice and I know they feel the same way. They’re getting the same sense of satisfaction and pride and success. I sometimes bring my Olympic jacket and ring with me, and I put it on the kids and say, what does that feel like to you? And they’ll say, it’s a jacket. And I’ll say, yeah, I know. See, to you, it’s just a jacket and it’s kind of cool because it has the Olympic rings, but when I put it on, I really feel special. So it’s what that thing represents to you versus what other people think it represents sometimes. On coaching Timothy Goebel after he left Frank Carroll: He was clearly emotionally devastated. Frank basically told him, I don’t want to work with you any more, and Tim will admit it, he was very difficult to work with. And their constant battles — I think Frank is one of the strongest human beings I’ve ever met, and he called me when I was at Skate Canada with another skater, Yoshie Onda. And I was sitting in the lounge with Lori Nichol, and we’re having a nice fun time, and I’m minding my own business. And Frank calls Lori, and Lori says, Frank wants to talk to you. And I said, oh, he’s calling to congratulate me [laughs]. Which was not the case — he was calling to say, I want you to teach Tim. And there was dead silence on the phone, until I said, whaaat? And he said, I don’t feel like we can work together any more, it’s too difficult, and I think you can help him. And I agreed to, after consulting with a few people. As a competitor, he had really kind of mentally checked out at that point. So my relationship with him was to help him finish his career, however it went. He did make another World team, and he did a wonderful short program after Angela Nikodinov’s mom was killed in that horrible car accident. Tim was so distraught and flustered that he could not get it together, so I grabbed him and, you know, punched him in the arm and said, listen, you have given up so much, you have to go out there and you have to do this now. And he gave one of his best performances, because I think the emotion that he had in dealing with Angela’s mom’s death came pouring out in the program. It was this beautiful program that Lori had choreographed to Rachmaninoff, and it was also one of the first and only times that Tim landed a quad toe combination in a short program ever, because he’d always done the quad salchow. So I’m very proud of him for pulling it together. He was crying as they called his name, and I was, oh, this can’t be happening, it’s not good. I feel very close to him in a sense that I felt he was kind of like a wounded individual, you know what I mean, like his soul was really hurting. And I told him, I said, listen, I’m not going to try to change your behavior. He was really struggling with staying composed when he was training, to put it diplomatically. And I got him private ice so that he could practice the way he wanted to practice, so he was not around other people that would be influenced. I said to him, you cannot have these kinds of temper tantrums when I’ve got a 10 year old here. Fairfax Ice Arena is the all-call skating school, if you understand what I mean by that. It’s not like the World Arena or Lake Arrowhead or one of those places that’s full of elite skaters and you might have a session that would only be seniors. On the ice at Fairfax you might have a 10 year old out there with a national champion. And everyone had to learn to co-exist. Of course, the younger skaters were taught, when you see Mike coming down here, you’d better get out of the way because he’s probably going to do something. So I would say it was a more typical skating rink in the United States than what Tim was used to, and sometimes he just could not deal with all the chaos of the kids. So we went into Washington DC and he skated at Fort Dupont, and I want to thank them for supporting us on that one. And I would say that by the Olympic year in 2006, he was really struggling. He had a horrible Grand Prix season. We did have the opportunity to work with Tatiana Tarasova — it was very interesting to be able to hang out with her and see how she operated. Wonderful, wonderful lady. So I wanted to give him opportunity that he hadn’t had before, and I wanted to nurture him a little bit, maybe personally versus just professionally as the athlete. I just realized that this kid was in need of somebody to support him. I just hope he’s OK with everything that he’s doing. It was not an easy career change for him, I know that. And he’s a smart boy, he went to Columbia and got a degree, and I did sense that there was more for him to accomplish than what he thought was going to happen. It was heart-wrenching to hear him say that he had wasted all that time trying to get back to the Olympics. I think athletes sometimes think, oh, if I can get back out there one more time — but sometimes their time is done. And I’d like to think that this was the time when he was supposed to figure out what he was going to do, after doing what he had done. Everything we do in life, it’s never a waste unless it’s directly doing harm to other people. Every experience that you have, there’s a reason why, and you have to learn from it even when it’s not fun. Even when I was hitting my head on a wall, that wasn’t a waste, and it was an experience I was supposed to learn from. Now there’s things about being wasteful, like these children that are sitting on their behinds in the lobby or hanging out on the barrier when they’re supposed to be practicing. That’s wasteful. But I don’t think anything that you do where you apply yourself is ever a waste. And I look at it like that he and I established a relationship and a friendship, where we stay in contact and we still see each other occasionally, and I’d like to think that even though he was struggling with the skating, he has some fond memories of us working together and bonding that way too. There’s a lot more things that you’re supposed to get out of sports than just getting your medal. But sometimes I wonder, if I was more on the other side of things that was more about getting the medal, if I would have had more success as a competitive coach. And I’ll never know, because that was never me. 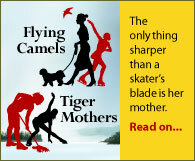 I’ve had kids that were very very talented but the parents were nightmarish to deal with, and I knew that if I hung in there with them, I would have a talented skater on my hands. But to me, the compensation wasn’t worth it, you know, the aggravation and selling my soul just to have a kid that would win a medal and I could stand there with them — it just wasn’t worth it. You have to decide, who do you want to be when you finish your career, and how do you want to be remembered? I’m sure there are a lot of coaches that would say, aw, she only had one kid that went to the Olympics, but I don’t worry about that at all. I had to keep my integrity. Why was I doing this? What was the whole point of me teaching skating? You’re right, I think about these things [laughs]. But I think a lot of coaches, they don’t see it as coaching people, they see it as teaching skating. And I really wanted to coach people that happened to skate, you know? I happen to be good at teaching ice skating and making a program. I couldn’t teach ping pong or cooking. But I’m always drawn to working with people, and it just so happens that I get to work with them in skating. When I was younger, I’m not sure that would have dawned on me about my work, but now that I’m retired I can look back on it as it, you know what, it was because I really enjoyed working with this kid. And sometimes I had a less than talented kid, but they’re the ones you enjoy working with the most because they’re the ones you had to work the hardest with. And even though I had a very short time with Tim, it had a very big impact on both of us, and it was important to me.